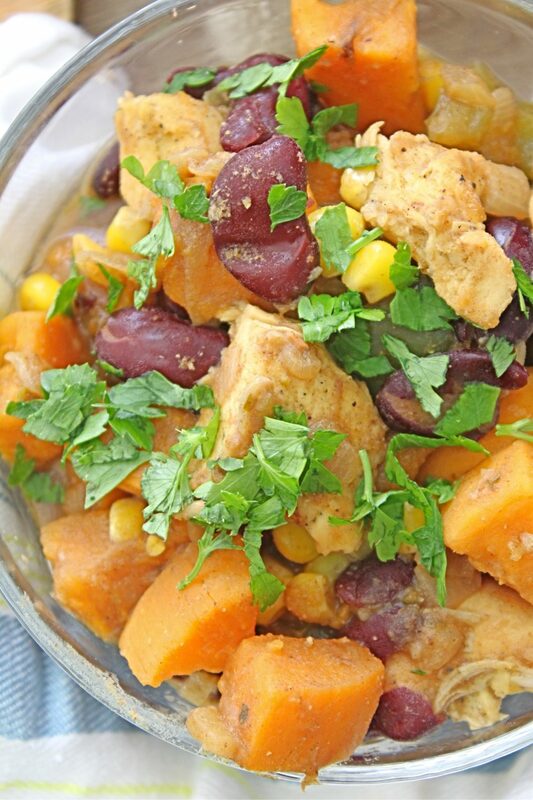 Dip your spoon into this chicken chili with sweet potatoes and enjoy the variety of wonderful flavors with every mouthful! Perfect weeknight dinner idea that comes together in no time! I’ve been really into healthy food lately and my body and mind couldn’t thank me enough! Not only I lost a few pounds that I didn’t have have any use for (lol) but I have so much more energy and I feel a lot more motivated to go out and play with my little munchkin girl. 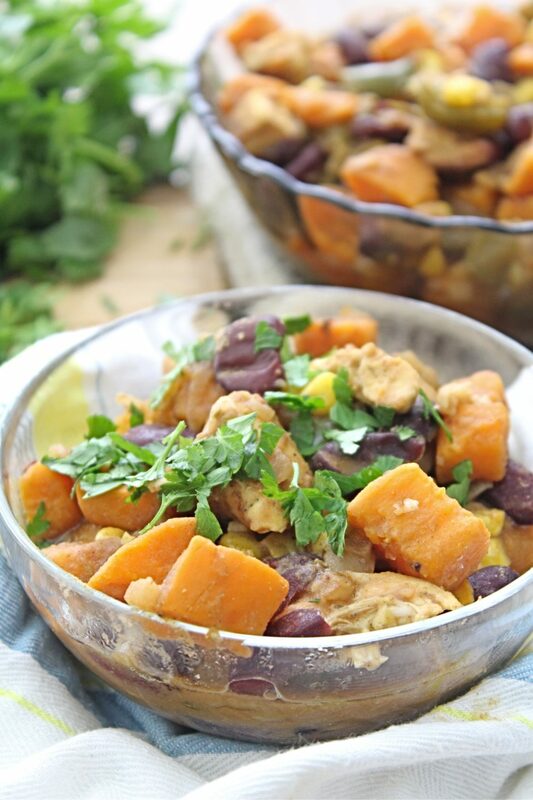 And this wonderful chicken chili with sweet potatoes is one of the recipes I keep making every week as part of my new healthy lifestyle. 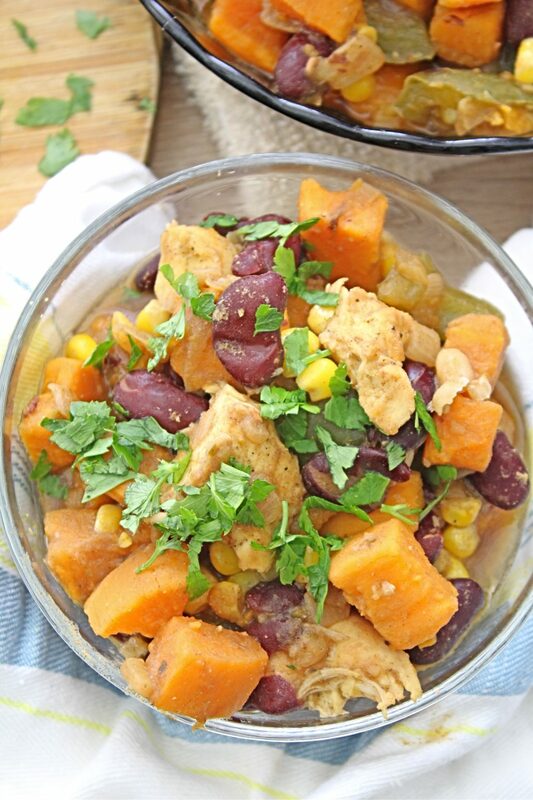 My sweet potato chili is the perfect dinner idea not only for people looking to bring more healthy food into their diet but it’s a great idea for busy families too since it’s so quick and easy to prepare and cook. About 30 minutes from start to finish! 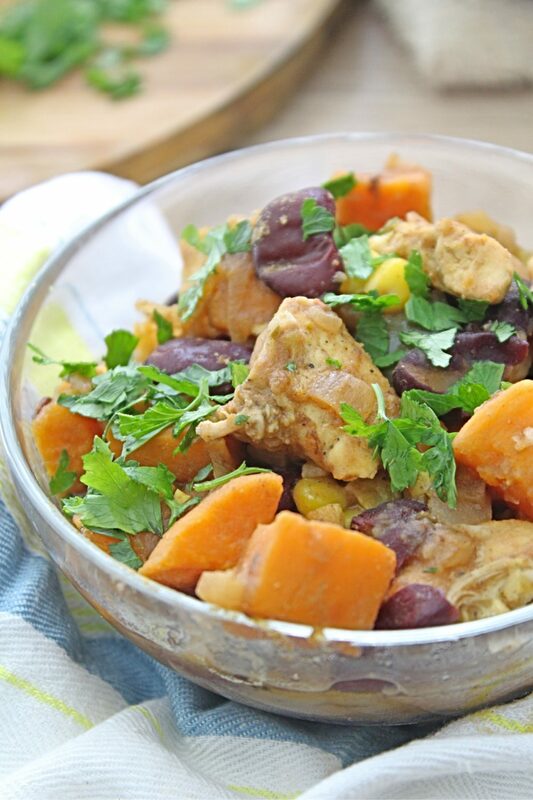 This chicken chili with sweet potatoes is also a great recipe idea for chicken leftovers as it uses cooked chicken. What I truly love about this sweet potato black bean chili uses is the sweet potatoes addition! I think it brings the perfect sweet balance to the spiciness of the chili powder and it truly enhances all the flavors. 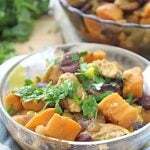 I would say it’s the key ingredient in this chicken chili with sweet potatoes recipe! 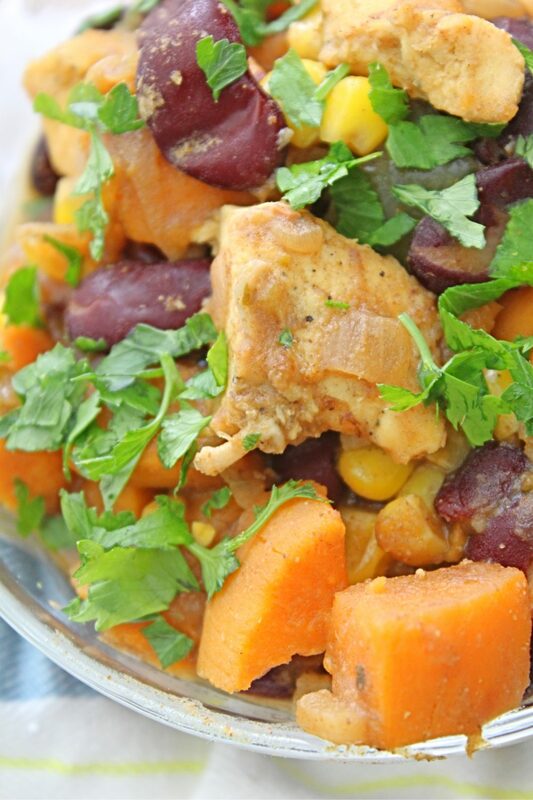 My sweet potato chili recipe also uses mixed beans which make this chicken chili with beans a filling nutritious and satisfying meal! This sweet potato chili soup is easy, quick, frugal and tastes amazing with all those beautiful flavors! Definitely a winner in my cookbook! Heat the olive oil in a medium large non stick skillet over medium-high heat. Add onion, garlic, sweet potato and bell pepper and cook, stirring occasionally, until the vegetables are slightly softened, 5 minutes. Sprinkle chili powder, caraway powder and oregano and cook for 1 minute, stirring. Add beans and chicken stock then bring to a boil. Reduce heat and simmer gently for 10 minutes. Stir in corn and cook for 1 minute. Add chicken and cook 2 more minutes. Optional - Serve topped with sour cream, avocado and/or pickled chili peppers. Optional – Serve topped with sour cream, avocado and/or pickled chili peppers.